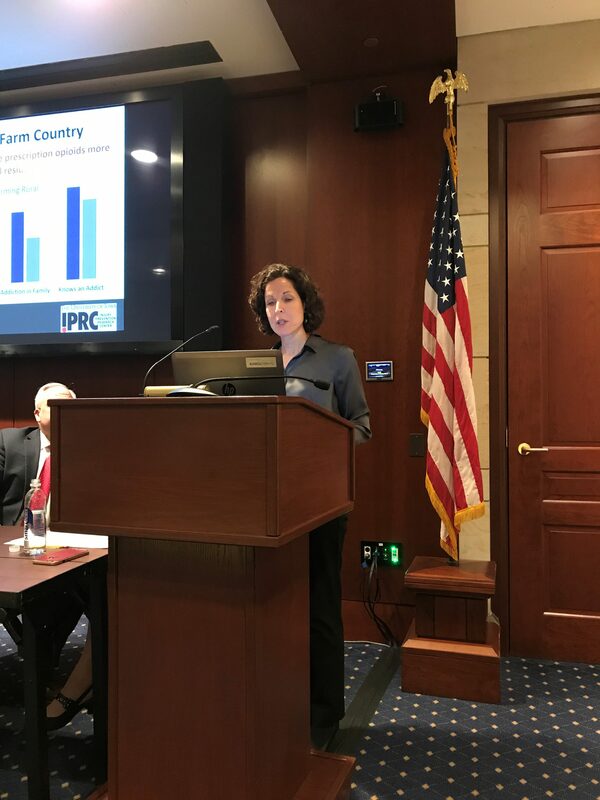 UI IPRC Associate Director Carri Casteel at an opioid briefing in DC. The UI IPRC influenced state agency prioritization of injury prevention through its strong partnerships. The UI IPRC helped shape both Iowa’s child passenger restraint laws and its Graduated Driver’s Licensing System. The UI IPRC played a key role in developing Iowa’s integrated trauma system. The UI IPRC helped develop a play about cyberbullying, which toured nationally, and created a school-based bullying prevention web toolkit for educators. The UI IPRC brought stakeholders together across Iowa to identify priorities to address the opioid crisis in Iowa. See report. Read some of our success stories. Read some of our policy briefs.